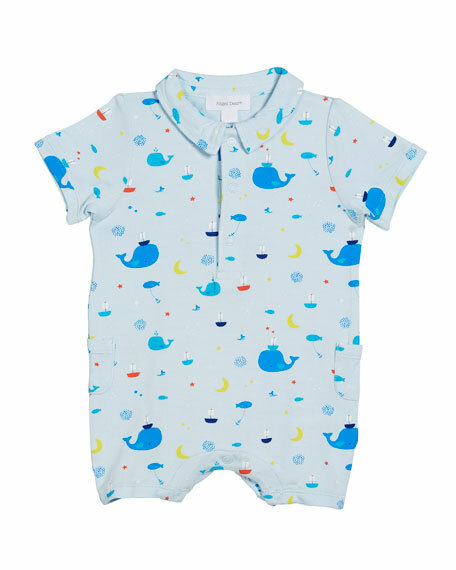 Angel Dear shortall in allover nautical whales print. Pointed collar; three-snap placket front. For in-store inquiries, use sku #2558109. 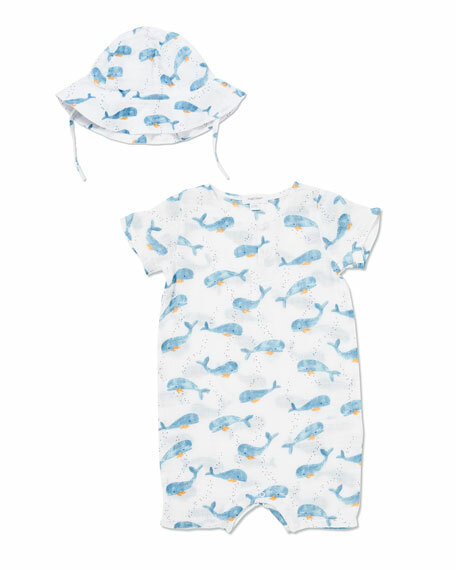 Angel Dear muslin shortall in allover whale pattern. Crew neckline. Short sleeves. Snaps through legs. Includes matching bucket hat. Self-tie strap under chin. Cotton. Imported. 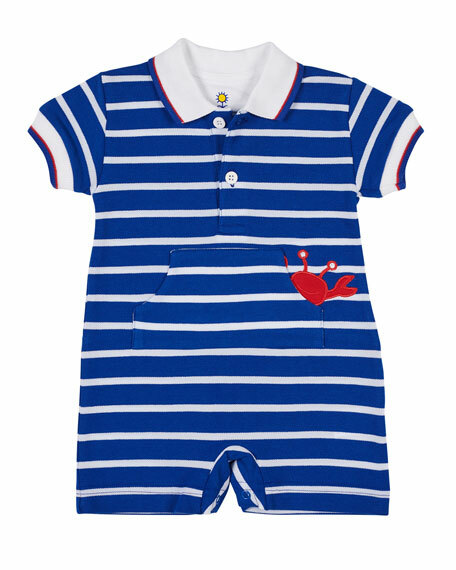 Florence Eiseman striped pique shortall with peek-a-boo crab appliques. Polo collar; button placket. Short sleeves. Kangaroo pocket. Snap gusset. Cotton. Made in Peru. 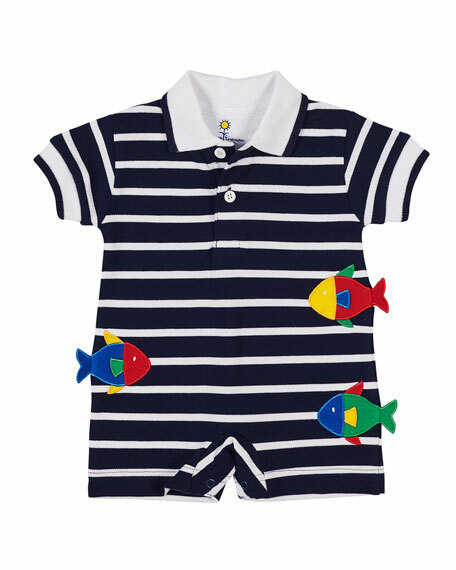 Florence Eiseman stripe knit pique polo shortall. Fish appliqus through front. Spread collar; two-button placket. Short sleeves; banded cuffs. Snaps through legs. Cotton. Made in Peru. 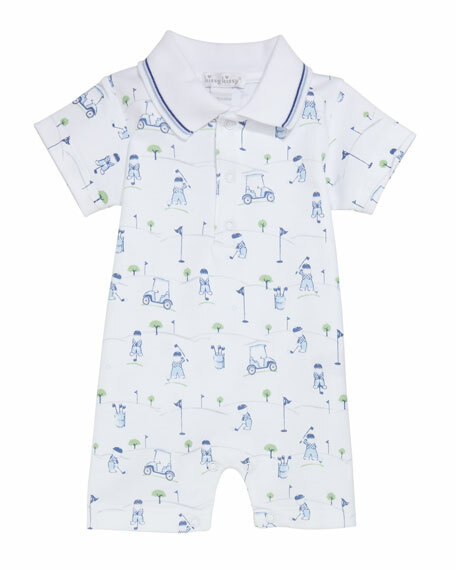 Kissy Kissy printed shortall from the First Tee collection. Ribbed spread collar with striped tipping. Short sleeves. Snap placket front. Snaps through legs. Pima cotton. Made in Peru.